Jojoba oil (Simmondsia Chinensis (Jojoba) Seed Oil) is similar in composition to the skins own oils, it is quickly absorbed. 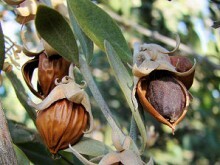 Jojoba oil is suitable for most skin types, whether dry, oily or sensitive. It is particularly good for scalp applications.